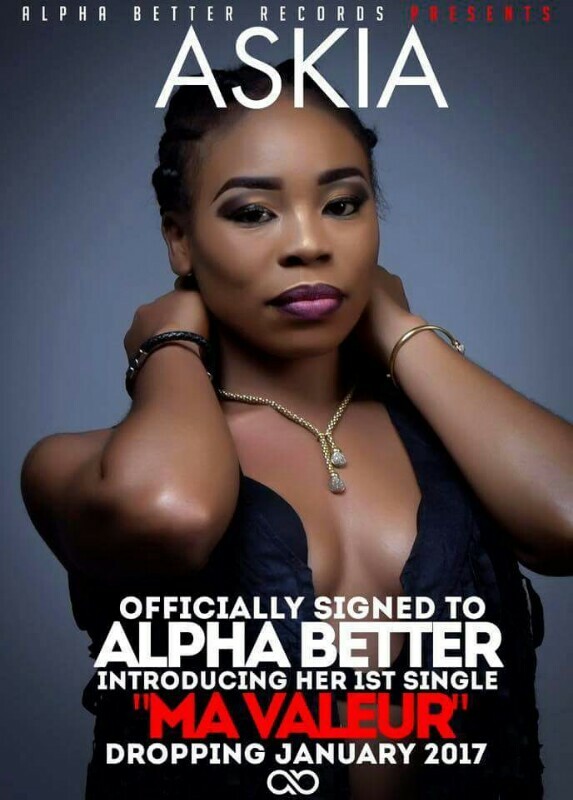 Months back Alpha Better records signed a new artist to its label. It as officially announced today (December 27, 2016) that rapper ASKIA is signed as its first female artist under the lable. She joins the roaster of Mr. Leo and Salatiel to be the labels third and only female act. This was confirmed their via their official facebook page and other social media platfors. Askia who was previously signed under Sieni Brothers and then Mutumbu records where she build her rap career and enjoyed mild success with the release of hit debut single “Tat’ Obaseh”, released a mixtape “under construction” with a powerful “panda” cover. As it is confirmed, she is also to debut her first official single under the label titled “Ma Valeur”, well she sures spits bars and we should expect something huge. Next articleBIG NEWS: Stanley Enow Endorses Jovi's "Munshung"